Commissioned by the U.S. Army Corps of Engineers (USACE) Chicago District, EurekaFacts was tasked with conducting research and analysis to support the development of the USACE Great Lakes Coastal Impact Reporting System (GLCIRS). This research effort supported and guided the development of a comprehensive tracking system/database and reporting system that will capture information on storm, high water, and low water impact for riparian properties both public and private. 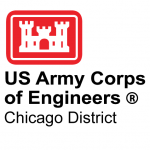 The US Army Corps of Engineers (USACE) Chicago District is responsible for water resources development in the Chicago metropolitan area, an area of about 5,000 square miles with a population of about 9 million, through a variety of projects including flood risk management and storm damage reduction, navigation, aquatic ecosystem restoration, emergency management, and interagency and international services.